Across most market segments (IT, SMBs of all sorts, engineering, etc). 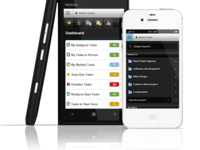 For all those who require to to begin to get more organized and collaborate at any level. 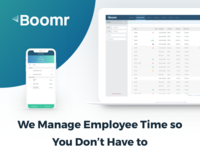 Innovative companies use Boomr's intuitive time tracking solution to manage employee time. Perfect for Construction, Landscaping, Cleaning, HVAC, Painting, Flooring, Home Care, Franchises & more!